I recently went on a cycle that was so nice, I thought I'd blog it. My family live in Zone 9, it's similar to cloud 9, although in almost no ways. 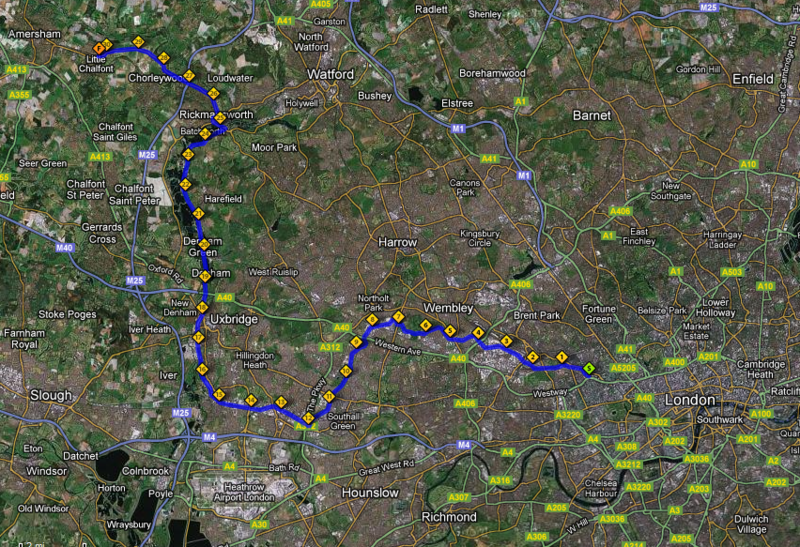 I now live in zone 2, so thought it'd be fun to cycle the intermittent zones one day. I had a quick google, and found a route along the canal that goes from Mile End to Berkhamsted, this would near enough cover my route. I know there are canals, I've walked and cycled along them a bit, mostly from Regent's Park to Camden, but I genuinely didn't know the canal was still linked up that well, and certainly didn't think it'd be possible to cycle the whole way along the canal. It's easy to forget this incredible forgotten artery that flows through England. Well it is possible, and it's a really stunning route. I have a reasonably impractical old 70's racing bike, and it was kind of muddy, and subsequently kind of scary, but I didn't fall into the canal. Three of the four of us got punctures, so I would recommend a repair kit and a pump, but more importantly I would recommend doing it. You can cycle all the way to Rickmansworth then hop off and get the train back; if you don't fancy doubling back on yourself. 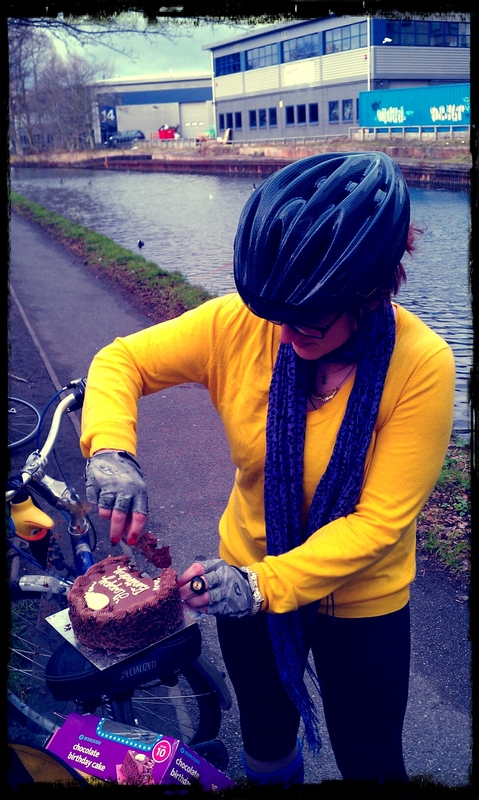 We stopped once to have some Birthday Cake, even though I'm pretty sure it was no-one's birthday. *I just went and checked and it was Spider Loc, American rapper, member of G-Unit's Birthday that day, so happy birthday to you Spider Loc. We also stopped at the Coy Carp pub in Harefield, it was very nice, they had several real ales, and also 3 courses for a bargainous £10 - it was clear then that we'd gotten a fair way out of London. 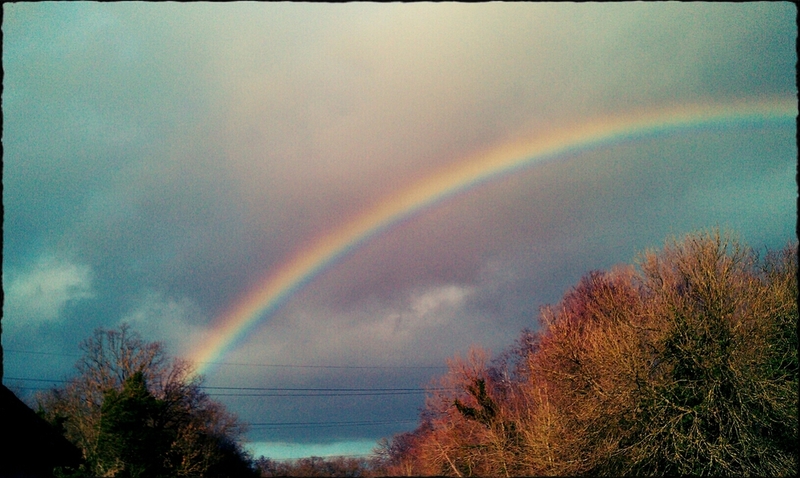 it rained a little bit, but just meant we stayed cool, and got to see this. If you don't have a bike, you should get one, I reckon you could even do it on a Boris Bike. Having said that, my calculations suggest it would cost you around £35. And it would be hard to remove from the canal if you fell in. I think there is a canal festival, at some point which is supposed to be good, but I will definitely be doing this route again, during the spring, it's a beaut.